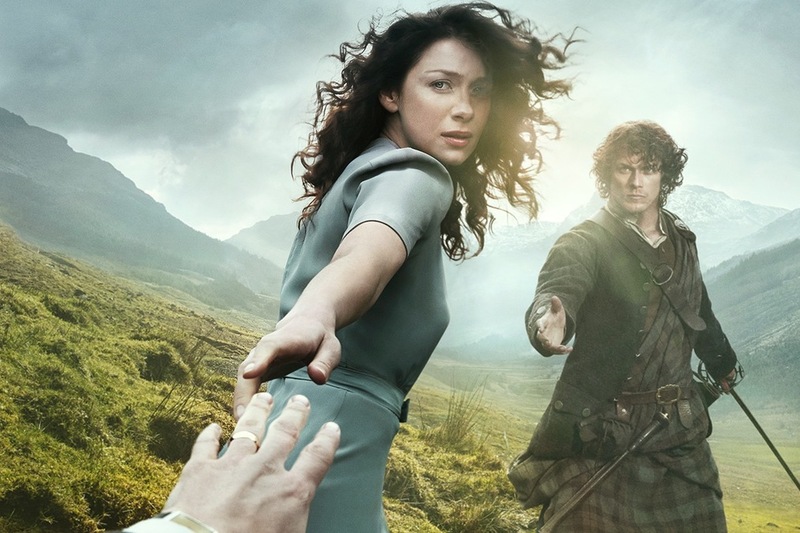 Finally, the Outlander season premiere is here! I feel like I have been waiting for this FOREVER!! Of course, I did cheat a little bit and watch the first episode on the Starz website earlier this week (I might have watched it 3 times, don't judge! ), so I can say with authority, it is amazing! So, since the episode officially airs tonight, I released the first clue for the MKAL this morning. Those of you who purchased the pattern should be able to download it from your Ravelry library. You will only be using color A for this clue, and the shawl is primarily garter stitch right now, with some slipped stitch details. It is fairly simple at this point, but if you have any questions feel free to check out the JBW group on Ravelry. If you are still having trouble deciding if you want to join in, there will be a spoiler thread in the Ravelry group so you can see pictures from people who have started knitting the pattern. Also, feel free to get the Beauchamps and Fraser limited edition colors from Jimmy Beans, or choose your own colors! A lot of people have been inspired by the lovely shades of blue and brown in Jaime's plaid and are using those for the shawl! As long as you pick 2 colors that have a lot of contrast, the shawl will turn out great! I hope everyone enjoys the MKAL and happy knitting!